Learn about Albuquerque, New Mexico by reading "Albuquerque – Spanish and Indian Touch on Modern Enjoyment" by Charlie Spence, Aviation Writer. It features a mini, but thorough tour of the destination, plus all you'll need to know to plan your trip including getting there, objective information on places to stay and eat, and things to do. At the end of the article, we've provided a summary of the contact information for your easy reference. Enjoy! 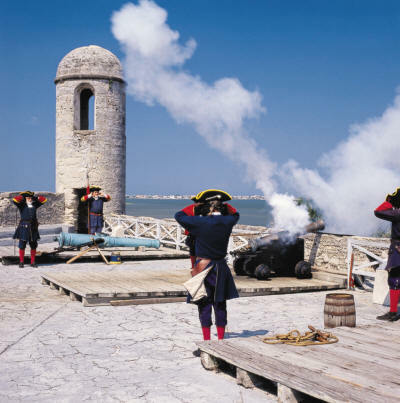 Displays of Spanish military maneuvers at Castillo de San Marcos. It's the oldest continually settled city in the United States and while you soak up historic sites dating back to the days of Ponce de Leon landing here to seek the fountain of youth, you can enjoy 45 miles of pristine beaches, dine in quaint cafes, browse through unique shops, hook a big one while off-shore fishing, or just relax in the perfect place for a romantic get-away. 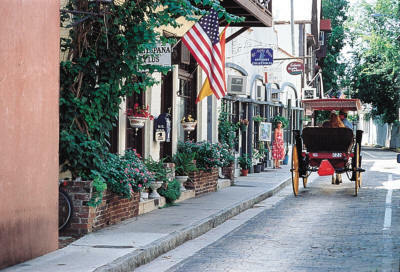 St. Augustine, Florida, might be known as the 'Ancient City' but while you are strolling the cobblestone streets or admiring the structures that served as the city's outer defenses, you will also discover why modern-day explorers might want to keep the charm and warmth of this area to themselves. But never mind, the locals welcome visitors and roll out the hospitality carpet. Located between north east and central east Florida, the St. Augustine-Ponte Vedra area is rich in history; so much so that it is difficult to select the places to visit. The city dates back to the conquistadors of the sixteenth century. Reminders of these early days when the soldiers and their families were busy building a Spanish community abound here. At one point, as you near Nombre de Dios - the first Spanish Catholic Mass and Mission on American soil - you can see the excavation of the actual stone cross laid out by Ponce de Leon and his men. At the Ponce de Leon Fountain of Youth Park you may go ahead and take a sip of 'youth' and, just maybe, imagine the old boy might have been on the right track. At the massive Castillo de San Marcos Fort see and hear the Spanish soldier re-enactors fire the cannons as they were fired warding off enemies for more than 300 years. This fort was never conquered and endures as the only 17th-century stone fort. Also, go over and tour a newer defense, Fort Matanzas, which was constructed in 1742. It served to protect the city from pirates and vessels approaching from the south. In 1565, the defending Spanish in one battle killed 259 French Huguenots over control of Florida. Stroll along Avilles street, the oldest street in the city. In the old colonial Spanish quarter, other costumed re-enactors demonstrate cooking techniques, blacksmithing, candle making and other crafts. Much of the original walled city remains in the restoration district. Here, visit the oldest house, built around 1720, the oldest jail, dating to 1891, and the oldest wooden schoolhouse in America, constructed in 1763. Along the narrow, uneven streets you will find many architectural treasures holding restaurants, pubs, ice cream shops, gift boutiques, and other charming attractions. If you like, there are quaint bed and breakfast facilities where you can stay to totally soak up the historic adventure. You will want to walk the historic section but the best way to see some of the destinations is by taking one of the many tours by horse and carriage or sightseeing trolley or miniature train. 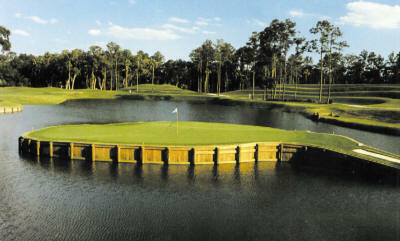 The world-famous 17th hole of THE PLAYERS Sawgrass Stadium Course at Ponte Vedra Beach, Florida. When you have had your fill of romantic history, there are unlimited experiences you may enjoy. Nearby Ponte Vedra is noted for its golf courses. The PGA Tour Headquarters is located here at Tournament Players Club. Just south of Ponte Vedra visit the World Golf Hall of Fame and World Golf Village where you will see golf memorabilia donated by many golfing greats. Many marinas in the area make fishing or sailing a convenient thing to do. Explore the sea, river, or Intracoastal Waterway for fishing, diving, surfing or just loafing along. As you visit this historic community you will quickly see it is the spot for a quiet, peaceful get-away where you can mix relaxing sightseeing with personal pampering at spas, and luxury resorts and hotels. 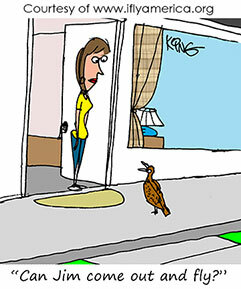 But, that doesn't mean you must forego nightlife and fine dining. Live music abounds every night in the taverns, restaurants, and pubs around St. George Street and also on Anastasia Island. The average year-round temperature in the St. Augustine-Ponte Vedra area is 70 degrees and the miles of beaches enjoy gentle breezes. Some beaches are nestled between the Atlantic Ocean and the Intracoastal Waterway so you may take your pick of the beach or water experiences you prefer. In a period when rush is the theme, when stress is the norm, when overextension is the accepted, this little corner of America melds the quaint and quiet of the past with the plush and peaceful of the present, where you can rise early and see a beautiful sunrise over the Atlantic, enjoy the day and be awed by the beauty of a sunset over the marshes. Tower operates 7 a.m. to 9 p.m. Accommodations in this area are known worldwide. The St. Augustine-Ponte Vedra area offers a combined total of more than 7,000 accommodation units. These range from modestly priced lodgings through unique bed and breakfasts, to luxurious seaside resorts. Make your reservations before you go through IFA's Online Travel Booking Service where you can check rates and book your room and rental car. Significant hotel and car rental discounts may apply. You have a wide choice of dining ranging from good ol' down home cooking and barbeques to excellent American and international cuisine. Excellent fresh seafood is available. The locals seem to like the shrimp, oysters, clams, and freshly-caught fish. Try any or all of them at the seaside restaurants. For a reminder of the area's history, visit one of the restaurants serving traditional Spanish cuisine and exotic specialties. Notice: This information is current as of January 2008. It is recommended that you contact the numbers, and/or visit the websites above to determine any changes to the information.